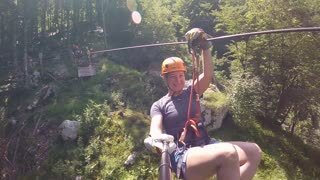 Woman canopying over the forest on zipline in Slovenia. 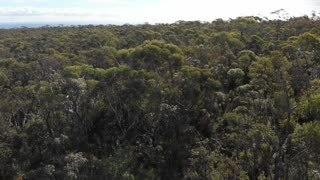 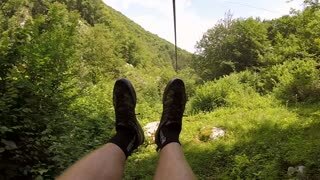 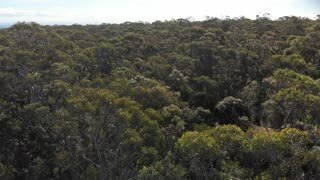 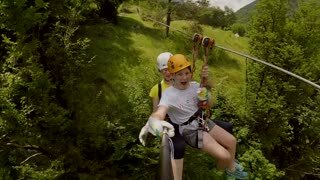 First person view of shoes canopying over the forest on zipline in Slovenia. 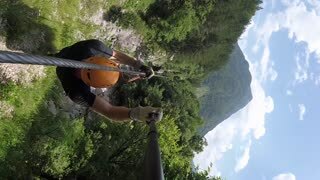 Man canopying over the forest on zipline in Slovenia. 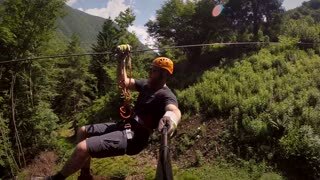 Man with beard canopying over the forest on zipline in Slovenia. 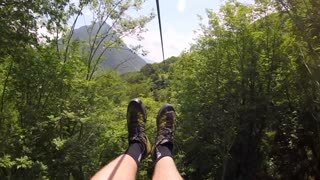 Two people in tandem canopying over the forest on zipline in Slovenia.